Dr. Ernst Krebs observed that during the deadly 1918 Spanish Flu epidemic that the American Indians in the Southwest were recovering from the virus. He published an article titled "An Indian Remedy for Influenza." The Indians used lomatium dissectum. Click here to read a copy of the article as it was republished in the Bulletin of the "Nevada State Board of Health" in January of 1920. In response to the "Your Stories" article about the Spanish flu, some of our patrons sent us stories about their ancestors who had lived and died during the Spanish Flu epidemic. Thank you to all who shared these wonderful pieces of family history with us. We, in turn, would like to share a few of them with you. Here are three of these fascinating stories contributed by our patrons. My Aunt Annie ran a couple of restaurants in NOLA...she was so successful that she was able to retire at a very young age (21 years old!). Maurice was quite the dapper-looking young man! While I was only born in 1965, I remember my Aunt Annie being very old. My earliest recollection is age 5 and she could only sit in a chair and smile at me. She was very old-looking, but only 75 or 76 years old. I think she had a very hard, long, and yet somehow nostalgic life. Originally from Texas, the Great Storm of 1900 forced the move to NOLA. Her mother was married 5 times; all of her husbands died of various things. The first was a Captain of a ship lost at sea, the second was a German Shakespearean actor, the third was a farmer lost in a hurricane bringing crops to town, the fourth was a riverboat gambler who died of kidney disease while going west in a covered wagon, and I never found more info on the fifth husband. I fondly named Aunt Annie's mother...The Black Widow. All very sad, yet interesting stories. This article was written about my Aunt Annie in the Times Picayune, March 3, 1914. Sells "Midget" Restaurant to Education Self; Started on "Tips." The Midget restaurant, the tiniest real restaurant in the city, has changed hands. Its owner, Miss Annie Stanley, has sold it. They said, the newspaper boys and newsboys and all the rest of the 600 folks who daily took a cup of "the best coffee in town" and a sandwich or a dish of gumbo from the little red-haired girl in the wee white restaurant with its twelve stools, that she was going to be married. But Miss Stanley denied this--smiling and blushing. It was much more interesting and unusual than that. Getting married isn't such a feat--plenty of people do it every day. But, to start business with a capital of $200, and in three years to make enough money to be able to retire at the age of 21, and take a year's rest, is really something for a business woman to accomplish. She declares the getting married story was an excuse she had to give her incredulous customers. "They wouldn't believe me when I said I just wanted to take a rest, to stay at home with my mother, who has rheumatism and needs me, and to learn to sew and sweep and dust, and do all the things I've never had time to do, because I began to work in restaurants when I was twelve. They thought my business must be falling off; most people won't believe you can quit work as long as you're making money. But I was taking in $40 a day right along with my expenses only about $6 or $ outside the cost of food. I had plenty of offers for my business, or to go in business with others. But I wanted a rest. I could not take a day off without things going wrong. I was getting thin, and what's the use of making money and losing your health? Will Study Now. "Now, I'm having such a good time cleaning house and putting up curtains," said she, showing the tiny flat of the third floor of the Carondelet street house, in which she and her mother have curtained off dormer window alcoves and made a cosy sewing room of the corner of the diningroom-kitchen. "And I'm going to study, too. I'm going to have a special teacher, and learn more arithmetic, and find time to read books. I never have had time to read. And what fun it is to learn to sew! You see, I don't know anything but the restaurant business, but I know that from the ground up, I waited in two restaurants, till I saved money enough from my wages and tips to start "The Midget" which at first was just a 'hole in the wall' with only six stools. Her Success "Secret" "And the secret of the restaurant business is just to have things clean and good food. That's all--have good food, well cooked--because people come to a restaurant to eat. They won't come if you don't give them good food. But there are plenty of folks that go into the restaurant business and think it's just a business. "I never let anybody else make my dripped coffee and I always made it the same way, a pound to a gallon. I hired good cooks, but I always tasted everything myself, and had things seasoned well, with salt, pepper, thyme, and parsley, the way our people like them. I don't know anything about the Northern way of cooking, with white sauce, and no seasoning, putting the salt and pepper before you, to season to taste. I had all the seasoning cooked in the food. And if things weren't good, if a pot of beans was scorched, I poured them out. I'd rather not serve 'em than have anybody say they had eaten scorched beans in my place. Crank of Cleanliness "Then I'm a crank about having things clean and sanitary. The board of health inspectors never found any fault with my place. It was so small, everything had to have its own place, and stay in it. It was like a kitchen in a boat, or in a dining-car. In some ways, there's more work in a small restaurant than in a big one. Lillian Allensworth was born Nov 23, 1896, in Vinita, Oklahoma. She migrated with her family to Missouri where she met her future husband, Walter A. Payne, and they were married Sept 14, 1917. Two years later, in late November of 1919, she came down with the flu while pregnant with her first child. Her son, Leonard L. Payne, was born on December 3, 1919. 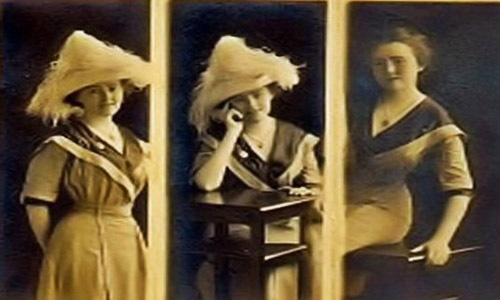 Lillian passed away on December 28, 1919, she was 23. Leonard never knew his mother, his father couldn't care for a baby and work, so at the age of 5 months Leonard was given to friends, Charles and Frances Davis in California, where he lived for 2 years. When the Davis's could no longer care for Leonard, he was passed on to grandparents, Ichabod and Lula Payne, in Montana. At the age of 9, his father married Ambia Wish, and he was gathered up from the grandparents and went to live with his family in Tennessee. That lasted only 3 years, as Walter had a violent temper. Walter was escorted out of the state of Tennessee and was told not to return or he would face imprisonment. Ambia did not want Leonard, as by that time she had a 1 1/2 year old of her own, so Leonard went back to Ichabod and Lula Payne's in Montana. Leonard grew up sullen and quiet. He hid his emotions. You never really knew how he felt or what he was thinking. He married in 1945 and had 6 children that he raised with a strict hand. He was a farmer, owning two dairy farms, and became a police detective in Alameda County, California. He was a hard worker and good provider. He never wanted to talk about his father or his childhood. He divorced his first wife in 1962, retired from the police department and married again in 1966. In 1981, his half brother Bill searched for and found him in Oregon. Even though they had the same father, they were very different. Leonard was an introvert and Bill an extrovert. Bill, having had the privilege of a stable home, and being raised by his mother and step-father. 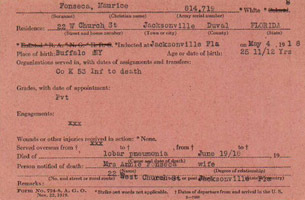 My Grand-Aunt Florence and her husband Frank both died from the Flu along with numerous people in Up-state New York. This is what I have in my Dygert database about the incident of 1918. 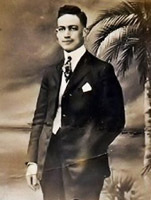 Frank Merril Hall was born 1883 in Lexington. Michigan, and died 1918 in Edwards, New York, St. Lawrence County. He married Florence May Dygert 21 June 1906 in Methodist Church, Russell, New York-Rev. S. G. Carley, daughter of Charles Dygert and Jannie Glasby. She was born 30 Aug 1885 in Russell, St. Lawrence County, New York, and died 1918 in Edwards, New York, St. Lawrence County. 1918 - Influenza Pandemic outbreak killed more people in the United States than World War I. The devastating affects spread to Herkimer County. It is what caused the deaths of Florence May and her husband Frank. For a historical account of the Spanish Influenza in De Kalb, New York, see The Spanish Lady Comes to De Kalb, by Bryan Thompson.